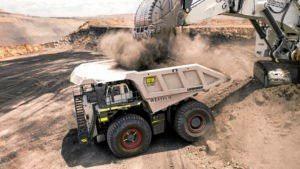 THE Mackay region's mining industry has been bolstered after new exploration grants were made available by State Government and industry to encourage businesses to find more minerals. Almost $2million is out there for businesses to explore and uncover minerals in the resource rich area of Queensland's northwest. Fifteen new exploration projects powered by 12 companies will be bolstered by the latest round of collaborative grants between industry and the State Government, which is part of the Collaborative Exploration Initiative. The initiative backs private investment in unexplored parts of northwest Queensland by co-funding innovative projects. The availability of new grants come after the Queensland Exploration Council's Annual Scorecard for 2018 revealed that coal exploration increased for the first time since 2011-2012 by 27 per cent. Queensland's Minister for Natural Resources, Mines and Energy Dr Anthony Lynham said the government would be opening tenders to explore 672 square kilometres of land in the Bowen and Eromanga basins. "As it gets harder and harder for explorers to find 'the next big thing', Queensland is investing in exploration," Dr Lynham said. "This is a down payment on future jobs and business opportunities from Queensland's $63-billion resources sector." Tenders for the grants will have to meet environmental, native title and other approval requirements before they are successful. Resource Industry Network general manager Adrienne Rourke said the report was positive news for the resource sector. "It brings plenty of confidence to the market, it shows that investors are looking at positive futures and can see a market for exploration going forward," Ms Rourke said.